We have three different hotels this year for Naughty in N'awlins. We have the entire Astor Crowne Plaza Hotel on Bourbon St & Canal as our main hotel and a couple of overflow hotels. 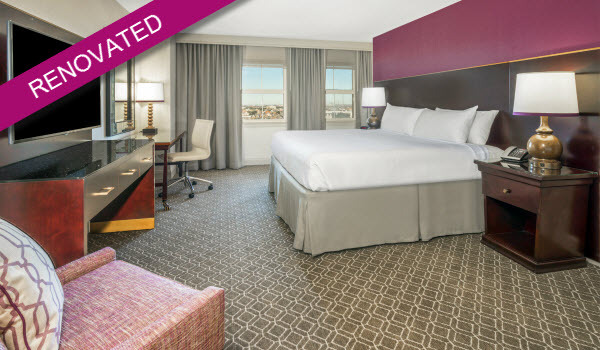 Where Canal Street meets Bourbon Street, the Astor Crowne Plaza Hotel provides luxury, Four Diamond accommodations amid the beating heart of the legendary French Quarter. Discover a rich diversity of elegant comforts and conveniences, including free Wi-Fi, flat screen HD TVs, Crowne Plaza's Sleep Advantage bedding, a Clothing Optional outdoor swimming pool, an acclaimed on-site restaurant and state-of-the-art fitness facility. Just outside, you'll enjoy a whirlwind of enchanting festivals, theater, music, cultural exhibits and culinary delights. You'll also enjoy close proximity to must-see attractions, such as French Quarter/Bourbon Street, Harrah's Casino, Jackson Square, the Aquarium of the Americas, the Superdome and Riverwalk Shopping. We also provide valet parking, limousine service, and a professional, attentive concierge to help make your New Orleans experience productive, comfortable and fun. Following our 2016 event, the hotel started a top to bottom renovation of their rooms. They installed brand new bathrooms as well as new bedding and decor. Every room is brand new and perfect for those looking to get "Naughty". This upscale boutique hotel is set 2 blocks from the main hotel on Bourbon Street and is the perfect place for those that can't attend 4 or more nights in New Orleans. We will have some special events, just for those staying at the Saint Hotel. The rooms are $174 a night + tax.